We can have other types of adjectives which we put before the age. These are general adjectives about the size, the shape and our opinion of the noun. Often we can change the order of these adjectives but we usually put the most important first. Having said all this, the order of adjectives can be changed for different literary effect and is not set in stone. The sharp, Swiss army knife pierced my skin. I scoffed down a big, thick sandwich. 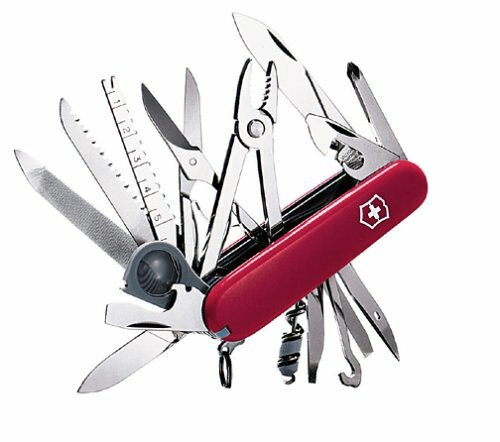 The old, sharp, red, Swiss army knife pierced my skin. I scoffed down a two-dollar, tasteless, big, thick, crusty, homemade sandwich. Opinion, Size, Age, Shape, Color, Origin, Material, Purpose. As a side note, did you know that ICAL TEFL invented this mnemonic which is now used extensively amongst English teachers and students? Awesome! I tend to rely on mnemonic devices when teaching, and order of adjectives is not easy to teach… But this post has just made it a lot easier! Thanks! should I say ‘big sour mango’ or ‘sour big mango’? thanks a lot. Opinion, Size, Age, Shape, Color, Pattern, Origin, Material, Purpose.